As a military spouse, I’ve traveled across Canada and had the opportunity to visit almost all the provinces in our great nation. 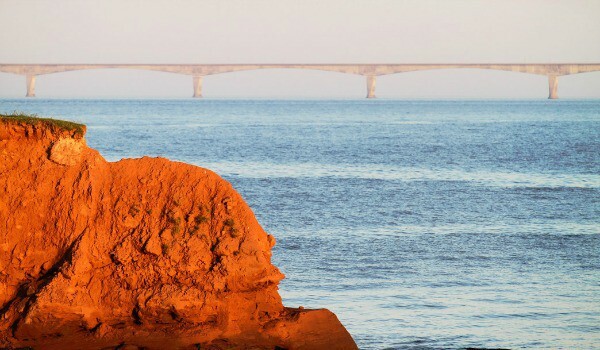 If you were to ask me for a recommendation on where to go on vacation, I wouldn’t hesitate to tell you that you simply must visit Prince Edward Island. It may be the smallest province in Canada, but it’s also rich in history, culture and scenic landscapes that will take your breath away. My first trip to PEI was in 2002 with my mother-in-law and four-year-old daughter. At the time, we were living in New Brunswick and planned a short road trip to PEI with just the three of us. My mother-in-law wanted to drive along the scenic coast of eastern PEI and I remember the road being marked as a “scenic drive” so we didn’t even need a map. I’ll never forget the “red dirt” cliffs and sweeping views of the coastline. My mother-in-law told me that the red colour was due to the high iron oxide content in the soil. It was quite something to see and I would have liked to take some of that red dirt home with me as a souvenir. After a day of enjoying the gorgeous coastal scenery, we stopped in Charlottetown for supper. 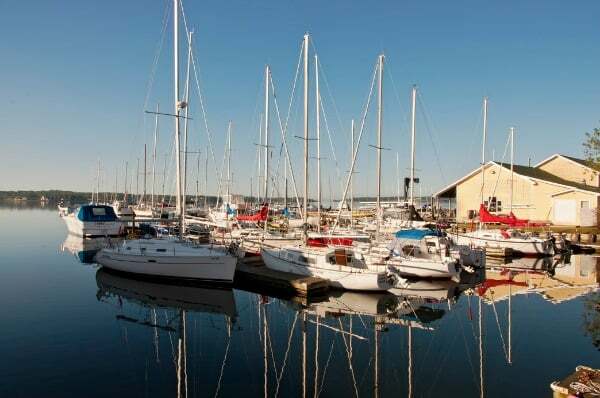 The restaurant had an outdoor patio with a spectacular view of the Charlottetown marina. We dined on mussels, lobster and other seafood delights. PEI is known worldwide for its seafood especially the mussels! My last trip to PEI was much too short and I’ve been longing to go back and experience more of this island gem. Visiting Cavendish, the home of Anne of Green Gables, is high on my bucket list. I read the Lucy Maud Montgomery series as a young girl and could picture in my mind’s eye what Anne’s home and surroundings looked like. I would love to be able to show my two daughters the home and other attractions of one of my all-time favourite fictional characters. I’d also want to spend a day relaxing at Cavendish Beach. It was named as one of the World’s 100 Best Beaches by CNN Travel. My daughters can swim and build sand castles and then we can go exploring the sandy dune shores. 2014 is the year to visit PEI! You won’t want to miss the 150th anniversary of the Charlottetown Convention and the 150+ celebratory events and festivals. I’m thinking it’s due time for us to make another family road trip to PEI. It’s time to get some items crossed off my bucket list! 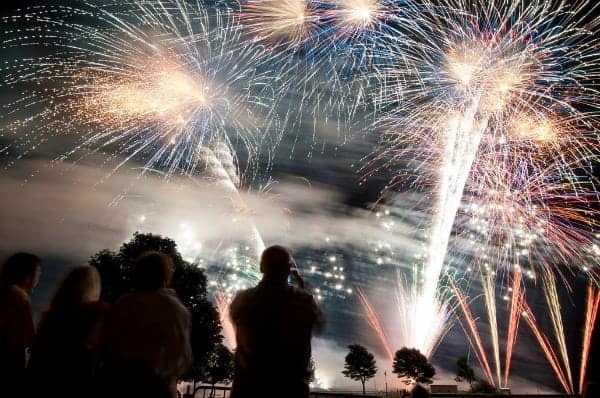 With all the celebrations, there will be no shortage of things to do and see. Whether you go for the history, food, scenery or golf, it doesn’t matter. Just go and have a vacation you’ll never forget. Disclosure: This post was brought to you by Tourism Prince Edward Island via Glam Media Canada. The opinions expressed herein are those of the author and are not indicative of the opinions or positions of Tourism Prince Edward Island. Looks like a very beautiful place, I’d love to visit someday. What a beautiful province! I have never traveled out east but really want to one day. Definitely putting this on my list of places to see! the scenery there is so beautiful, but if I went there I would be filling up on lobster oh ya!! It seems so beautiful and breathtaking! I have been to all provinces except the Maritimes. I want to go so bad, as I would just love to see the scenery, the lighthouses, the ocean, etc. Awesome pics!! I have never been to PEI and would really love to! It is so beautiful and the food looks amazing! Go while you still can. Do it! I am with you stacie i have always wanted to go to PEI ever since seeing Ann Of Green Gables as a little girl! One of these i have to go! I would love to go just to see the water and lighthouse. You can almost feel the breeze and be amazed. Wonderful post! I love PEI. When the children were small we rented a house for a couple of weeks and had great time in PEI. I have visited a few more times since. The beaches are beautiful. 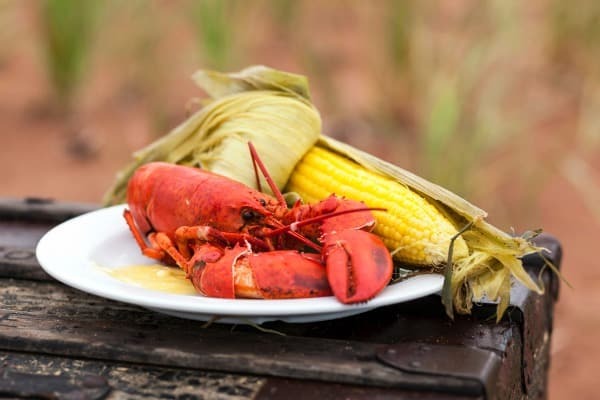 The Lobster Supper is a must. Oh, have not visited Canada in years and have not been to PEI, lovely! 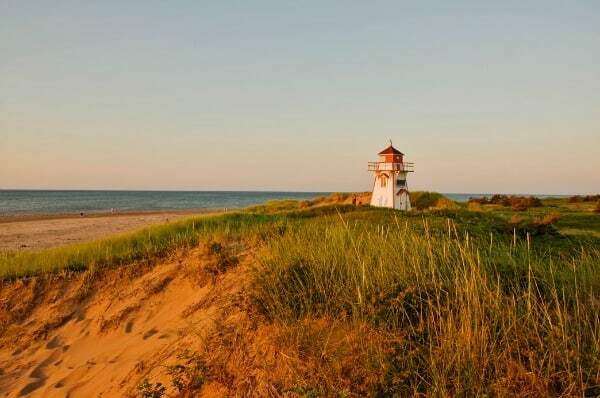 I’d love to visit Prince Edward Island one day, it’s so beautiful. I’d like to spend a day on the water sailing around, then spend a relaxing day on the beach. Absolutely BEAUTIFUL! Breathtaking views indeed! My hubby and I have talked about going to PEI often. One day, it will happen!!!! We have traveled to Canada several times but yet to experience Prince Edward Island. It looks charming. Please thank you husband for his service and thank you for your sacrifices too! Happy Mother’s Day! I would love to visit PEI. It’s on our bucket list. I have never been to Prince Edward Island and it sounds like it would be great. The photos show how beautiful it is,and I too enjoyed reading Anne of Green Gables. These are spectacular pics and a great review! I’ve always wanted to visit, “Spud Island”, and now I want to even more! Wow looks so beautiful! I would love to go! PEI is one of the only provinces i haven’t visited. Plans for Nfld/Labrador and PEI are in the mix! PEI is also one my list…but I don’t think I could be farther away as I live in BC. I dream of flying back East and renting a car. It could work!